Patience is a virtue. But does it have value? Andrew Haldane will discuss the importance of patience to growth and stability, its recent evolution and its implications for financial markets and systems. There is evidence that capital market myopia – short-termism – may be mounting. If so, what if anything should be done about it? Andy Haldane delivers this year&apos;s Sir Thomas Gresham Docklands lecture. The event is chaired by Professor Michael Mainelli. 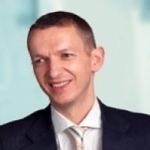 Andy Haldane is Executive Director for Financial Stability at the Bank of England. Andy has responsibility for developing Bank policy on financial stability issues and the management of the Financial Stability Area. He is a member of the newly established Interim Financial Policy Committee as well as several senior management committees of the Bank. He is also a member of the Basel Committee. It is a great pleasure and privilege to be here giving this year’s annual Sir Thomas Gresham Docklands Lecture. It feels very apt because, from where I sit at the Bank of England, I am surrounded by Gresham. If I turn right, I see the front of the Royal Exchange, financed by Gresham, and it was Gresham who laid the foundation stone; if I turn left, I see Gresham Street, named after Gresham in 1838, following the restoration of the Royal Exchange. This evening, I want to take as my theme the contribution that Gresham made to economics, or at least the most important and memorable of his contributions: namely, Gresham’s Law. For those who have forgotten or who never knew, Gresham’s Law essentially states that bad money will drive out good. I would update Gresham’s Law for the 21st Century, to describe a situation not where bad money drives out good, but rather, where short finance drives out long finance. In this lecture, I want to discuss short-termism: where has it come from, what are its consequences, how might it affect capital markets today, how might it effect real investment decisions today that might be forestalling growth in this country? Short-termism, or its alter ego, patience, has of course been long-discussed. For over 700 years, philosophers and theologians and other authors have been discussing the virtues of patience. Interestingly, this is also true of the first economists, the classical economists. Adam Smith, in his Theory of Moral Sentiments, memorably speaks at length about the importance of what he called self-command, the desire to defer today’s pleasure until tomorrow. For Jevons (1871), impatience was the behaviour of “the untutored savage” or child. Marshall (1890) compared short-termism to “children who pick the plums out of their pudding to eat them at once.” For Pigou (1920),“Our telescopic faculty is defective, and we see future pleasures on a diminished scale.” In each case, what was being said was that both patience and its opposite, impatience, were distinctive human characteristics. 150 years later, that basic point was established scientifically by neuroscientists, based upon imaging of the brain. They have established that patience is indeed a distinctive, possibly unique, human trait. Our nearest biological cousins, the apes, are unable to hang on or defer gratification for longer than one minute. Neuroscience tells us that humans effectively have two bits of their brain that act in opposite directions. The prefrontal cortex is responsible for patience, allowing you to defer pleasure today until tomorrow. The other part, the limbic or mid-brain dopamine bit, is linked to impatience – this is the bit that always wants to twist rather than stick, that desires instant gratification. That mirrors neurologically, in many ways, Adam Smith’s idea of a ‘two-self’ model - a patient thinker and an impatient doer. What I want to do now is provide an explanation of world growth since one million BC using only the brain. As far as we know, between one million BC and 50,000 BC, GDP per capita was flat in the world. Of course, there was no Office of National Statistics in one million BC, so those estimates are based on population size and sometimes the stomach contents of that population. Roughly speaking, in one million BC, you could fit the population of the world inside Wembley Stadium – about 125,000 people. Then, something strange happened - the world started to grow. Between 50,000 BC and around 1,000 AD, GDP per capita rose by about 50%; between 1,000 AD and today, GDP per capita has risen roughly fifty-fold. How do we make sense of why it was the world began to grow, began to develop, around 50,000 BC? What happened between 30 and 50 BC was that Neanderthal man died out, and Homo sapiens came to be the sole species on this planet. Why is that relevant? Neanderthal man had distinctive brow ridges and a flat forehead; Homo sapiens have a distinctive, upright forehead. Why is that significant? Because Homo sapiens developed their upright forehead to accommodate the prefrontal cortex – the part of our brain responsible for patience, deferring gratification, investing for tomorrow. From neoclassical growth theory, we know that investment today will yield growth tomorrow. We shall now fast-forward to the present day. What do we know about the brain now? A brilliant book by Nicolas Carr, The Shallows, tells us that technology still has an important effect on the way our brain works. Carr looks back in history and points to very striking technological developments that caused the rewiring of our brain: the typewriter, the printing press, etc. He argues that the internet has caused a similar neurological rewiring. Our ability to access information all of the time, in real time, has caused our brains to rewire in such a way that our attention span is shortening. The truth of this theory is, in many respects, borne out by some of the empirical evidence of our lifestyle choices today – in jobs, in marriages and in asset holdings. Back in the early 1990s, the average CEO was in post for around nine or ten years; today, the figure is roughly half that – four or five years. Look at the English Premier Football League. When that first came into being in 1993, the average football manager was in place for three or four seasons; that figure is now closer to one and a half seasons. It is also true of marriage. It is also true, importantly, of behaviour within capital markets. These graphs show the average holding of a share by the average investor in the UK and the US since the Second World War. In the US, we have seen that the average share was held by the average investor in 1940 for between eight to ten years; today, that figure is around six months. In the UK, a very similar pattern is underway - a shortening of horizons and an upswell in short-termism. Let me now tell an evolutionary story about what might be going on here, both within capital markets, but also outside of them. The story is ‘Gresham’s Law Revisited’, Gresham’s Law updated for the 21st Century. It begins with a quote attributed to Keynes, from the ‘30s, and which will be familiar to many of you: “The markets can stay irrational for longer than you or I can stay solvent.” It is not quite clear whether Keynes ever actually said this; that said, it is pretty clear that Gresham did not invent Gresham’s Law either. The Ancient Greeks almost certainly beat him to it, as did Erasmus and Copernicus, two or three centuries previously. Nonetheless, that is the core of the story I will tell. It is an evolutionary story, and a story we see mimicked outside of finance. We see many examples of self-destructive cycles of behaviour driven by short-termism and impatience – for example, drug addiction. One thing that happens when you take drugs is the chemical stimulation of that limbic, mid-brain, dopamine part of your brain. This causes you to desire instant gratification; it shortens your time horizon, which increases the likelihood of you needing your next fix, which in turn further shortens your horizon, which in turn increases the chance of getting your next fix, creating in a self-destructive cycle. This is also the case with a more commonly prescribed drug: work. The more we work, the more chance that we get less utility and less pleasure from our home life, which drives us back towards work, again in a self-destructive cycle. The same, arguably, has been underway in finance for several decades. The mechanism is slightly different. Here, imagine a world with two sets of investor. Firstly, a long-term investor, who trades on the basis of fundamentals - when prices are above fundamentals, they sell, and when prices are below fundamentals, they buy. Secondly, a short-term investor, who trades on momentum - if the price went up yesterday, they would buy today, and vice versa. What you find, in a world with those two cohorts of investor, is that, if the set of short-term investors is sufficiently large, the long-term investor may be driven out, because of that mechanism articulated by Keynes. Even if fundamentals reassert themselves in the long-run, you may be timed out if you rack up losses for long enough; you will rack up losses for longer the greater the share of short-term investors driving prices away from fundamentals. So, you can get a destabilising negative feedback between behaviour of traders, behaviour of prices, and this balance between short and long-term investor. This is a Gresham’s Law for the 21st Century. So, what evidence do we have, beyond that which I have already talked about, for this evolutionary short-term, impatient dynamic having taken hold? This diagram looks at the dividend distribution behaviour of companies, in the 19th Century (left-hand graph) and during this century (right-hand graph). This is important because dividend income is effectively a desire for jam today in place of jam tomorrow. You take dividends today as an alternative to reinvested earnings or capital appreciation tomorrow. In these graphs, the light shading corresponds to instances where dividends go up, and the darker shade corresponds to dividends going down. In the 19th Century, the shading was pretty much roughly balanced: dividends went up as often as they went down. Fast-forward 100 years and the picture is radically different: dividends almost never go down; they almost always go up, even when earnings are going down. In their desire to smooth earnings to meet the instant rewards of investors, companies are paying out dividends, come hell or high water, whatever the pattern of earnings out there. This is a distinct break from the past. Surveys of those managing money, of those operating in capital markets, tell a similar tale. More than half of all investment managers believe that they are afflicted by short-termism; more than half are churning their portfolio on at least a quarterly basis. CEOs managing companies, not just financial ones, are setting hurdle rates, discount rates, for projects of 20%+, at the same time as long-term interest rates in this country are at 2-3%. When asked, almost more than three-quarters of CEOs of public listed companies said that they would willingly forego projects that would boost their corporate value in the name of meeting their numbers, in the name of smoothing their quarterly earnings. So, how much value is being foregone, how exceedingly high are the discount rates on projects, and how damaging might that be to growth? To answer these questions, allow me to formalise things a bit. Roughly speaking, these equations compare the net present value of two projects. These are simple projects. They last ten years. They pay $10 per year. I want to calculate the net present value of those two projects, under two assumptions. Under the top assumption, people are rational. They rationally foresee the future and discount it appropriately. Under the second, people act myopically. They trim their evaluation of future cash flows by this amount x; when they are looking ahead into the future, they over-discount future cash flows by x. In this example, where the discount rate is 9%, the upfront cost is $60. Under rational discounting, with no short-termism, you would do the project – it yields a positive return. If, however, you are slightly myopic, you discount cash flow tomorrow only by an extra 5%, and the same project stream would yield a negative amount. As a result, you would reject the project; a positive, a value-accreting project would be rejected on the basis of even a relatively small amount of short-termism. I will now try and calculate x, using real data from real companies, operating in real capital markets. If you do that across a wide spectrum of countries and over a lengthy time span, the x factor turns out to be around 0.93 or 0.94, so the one period ahead cash flow is excessively discounted by around 7%. This pattern is consistent across different sectors. All of the x factors in the above graph are below one, and in each of these industries, the participants in capital markets are excessively discounting future cash flows. They are acting in a short-termist fashion. And even though these x factors do not appear that different from one, that slight difference can lead to a dramatic impact on project choice. This chart is based on the project I just mentioned. It costs $60 upfront and pays back $10 per period thereafter. The green line is what happens with rational discounting (no short-termism) and the net present value in the limit is around $120. If the excessive discounting caused by short-termism is as little as 10%, one period ahead, and not a million miles away from the estimate I showed you, that project yields roughly $50. Put differently, with short-termism, that very positive NPV project would be rejected. Value-adding investment would be foregone and forsaken. I shall now turn this into something real. I have showed you some evidence of short-termism and impatience in capital markets. What impact might that be having on the real investment choices of firms today? These graphs look again at the R&D performance of UK industries and split them between those firms that are publicly listed, and those that are unlisted. The right-hand graph splits them down between those that are UK-owned and those that are UK-operating but foreign-owned. The key message here is the sharp difference, by a factor of around two, between these two things. The listed company, on average, invests around half of that in relation to its total sales of the unlisted private company. A publicly listed company may well view the dividends as the target and investment as the residual; for a private company, the reverse might be true – it views investment as the target and earnings as the residual. Of course, this evidence is only partial, in that it does not necessarily match up similar firms. You could argue that these firms potentially differ a lot, whether in size, sector or geography. So, this diagram refines this calculus further. It is based on evidence from a big panel of 100,000 US firms, over several decades, and it matches firm types when comparing their investment behaviour. It matches the size of the firm, it matches the sector of the firm, it matches other balance sheet characteristics of the firm, as between publicly listed companies and private companies, and looks at how differently they behave. The left-hand side panel looks at investment by those two sets of firms. On average, the gross investment of the private company, with identical or very similar characteristics to the public company, exceeds it by a factor of around 2.5. When we looked at the sensitivity of those firms to investment opportunities – for example, high sales or high Tobin’s q - then privately owned companies are around 3.5 times more likely to put their earnings to work in delivering extra investment, relative to the publicly listed company. A publicly listed company - desperate to meet numbers, carrying out what McKinsey called “quarterly capitalism”, meeting quarterly numbers and managing earnings to satisfy the equity analyst and capital markets, and foregoing, potentially, positive investment projects en route - faces a pressure that is not present for private companies, which is why they invest more and are more sensitive, more responsive to good opportunities as they arise. If you bought my story, then this is serious. These investment differences are material. They will translate into growth differences over time and across countries. What might be done? I have listed below a number of public policy measures that might rebalance the scales, that might lean against the short-termist tendency that starts in our brain and then migrates to capital markets and then, through some evolutionary cycle, worsens and worsens and worsens every time, in a similar fashion to a drug addict. We could be more transparent about long-term performance metrics. Will that get us home? Frankly, I doubt it. We could think about governance and try to ensure that the governance, even of publicly listed companies, had a greater orientation towards the longer-term. For example, we could make the voting rights of shareholders conditional on the length that they have held those shares. This would put greater power into the hands of the long-termist investor. There are things relating to tax that could be done. Several people have floated the idea of making capital gains tax duration-dependent – in other words, the longer you hold a share, the lower the capital gains that you pay on it, leaning against the short-termist tendency in capital markets. There are things too that could be done when we think about how we remunerate both managers and shareholders. There has been much talk, recently, about deferral periods. Some companies have this idea of loyalty shares – L’Oreal and Michelin give owners of their shares, who hold them for a long time, extra shares on top, as a loyalty bonus. I do not have answers to this public policy question. However, it is tremendously important to address the issue, if we are to correct Pigou’s defective telescope faculty, if we are to lean against the tendency to pick out the plums from the pudding, and if we are to prevent the untutored savage destroying investment in growth over the medium-term.